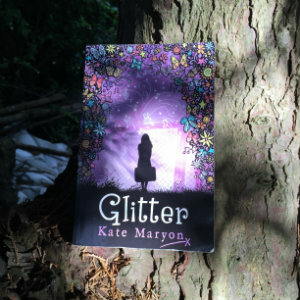 Liberty’s family is super-rich but when her dad loses his job, she has to learn that not all that glitters is gold…A sparkling novel from the author of SHINE. Liberty Parfitt is sure there’s more to life than getting good exam results and earning lots of money. Unfortunately her super-rich, workaholic dad doesn’t agree - he thinks Liberty’s passion for music is a total waste of time. But when Dad loses his job and falls into a deep depression, Liberty’s talent may be the one thing that can save him. My dad is so obsessed with success that every time I'm home from school, for a weekend or for the holidays, he just can't resist reminding me of the Parfitt family motto. "Remember, Liberty," he booms, while he's checking over my school work or reading my report, "that failure is not an option for a Parfitt." And what annoys me most is that he always says it as if I've never even heard it before. He always says it as if it's never been drummed into my head a thousand million times. He always says it as if I don't already know that I'm the biggest failure the Parfitt family has ever had the disappointment of knowing. And what makes things worse is that as hard as I try not to let his stupid motto bother me, it does. I just can't help it and every time he says it something deep inside me shrivels up and hides. At my brother's parents' evening, his housemaster said to my dad, "Sebastian has a glittering career ahead of him, Mr Parfitt, he's a real credit to you, sir. He's brilliant at everything, an A* student from head to toe and there are top-secret whispers being passed around that he's going to be made next year's head boy." You could almost see the gift-wrapped packages of love leaping out of my dad's heart and landing like glitter on my successful brother's smile. My parents' evening wasn't quite so glittering. My dad had to cancel this extremely important business meeting to drive all the way from London, to our school in Somerset, where the news that hit his ears did not make him smile. "She's a lovely girl, Mr Parfitt," my housemistress said, "kind, sweet and helpful, but she struggles with her academic studies. Liberty has more of a natural inclination towards her musical studies and I have to say she really appears to have a talent for it, sir. If she were to be encouraged a little more in this area she may well..."
one that won't let you down or get you into trouble. You're going to be twelve years old soon and it's about time you put your head down and pulled your socks up. I don't pay a fortune in fees for you to be at one of the best schools in the country so you can mess about. I'm paying for you to get ahead in life and make something of yourself. I want to see an improvement, Liberty, and I want to see it fast. Do I make myself clear?" "Yes, Daddy," I said, because I know there's never any point in arguing with him. He never listens to anything I have to say. Then he jumped in his car and roared off back to his office without even saying goodbye. There was no little gift-wrapped parcel of love popping out of his heart for me; there never is. And that's all I want, really. I just want him to love me too and not just Sebastian. Or even just to like me one tiny little bit. That would be a start. But I only ever seem to make him angry which drives him further and further away. Two weeks later at the end of year Prize-giving Day things went from bad to worse. Sebastian won six prizes and got to make his first speech as next year's head boy. And I got nothing! Zilch! Zero! "I've had just about enough of this behaviour, Liberty," my dad fumed when we'd finished our special celebration lunch for Sebastian's success. "I'm shocked that you didn't even manage to pick up one prize. You're letting the side down, you know, giving us Parfitts a bad reputation and it really won't do. You have to start towing the line and soon." I nodded and quietly tucked myself into the soft, red leather seat of his car. I tried to disappear and let his angry words drift over my head without letting them hurt me. If only I'd known then, the truth about my dad and his own glittering success. If only I'd known the truth about what actually happened to my mum and the real fact that success has nothing to do with good marks or money, I might have found the courage to stand up to him and speak up. I might have found the words to say that I would win prizes, and lots of them, and that he could be proud of me and send me little parcels of love to land like glitter on my smile. And that I wouldn't be a failure and a disappointment to the Parfitt family, if only he'd just let me be who I am and follow my heart. But I didn?t know any of that then. I just stared out of the window with the long summer holidays stretching out in front of me, with no idea of how much our lives were about to change. Gripping! I couldn't put it down and it even had me crying at one part.